Person pointing at job search. Photo courtesy of Shutterstock. Many recent college graduates head into a summer internship hoping they secure full-time employment with that company once the internship is completed. But, for a variety of reasons, it doesn’t always work out that way. Now what? How do recent college graduates and entry-level job seekers move forward in the job search when they don’t secure a full-time job from an internship? With confidence, because they just gained the invaluable on-the-job training employers covet. Because, for recent college graduates, the number one goal of any internship should be to gain work experience in a professional business setting, says Bob LaBombard, CEO of GradStaff, a company that serves as a career matchmaker for recent college graduates, and companies that are looking to fill entry-level jobs. While larger companies tend use their internship programs as a way to evaluate interns for employment in a subsequent year, small and medium employers are more likely to hire interns to accomplish specific goals, like completing a well-defined project or to cover staff for the summer vacation season, says LaBombard. Not getting hired full-time is in no way indicative of an interns performance on the job. So what should job seekers who completed an internship without a full-time job do next? Start by registering as a job seeker with College Recruiter. We’ll send you new job leads tailored to your interests and preferences and save you the trouble of searching for them on a regular basis. 1. Be flexible: College graduates looking to land their first jobs need to be flexible, proactive and creative. Consider volunteer assignments or temporary work as a way to continue to gain additional experience and build your skill set, says Driscoll. 3. Use college career center/alumni resources: College career centers usually welcome recent grads and can help in your job search. You also might be able to connect with other alumni who can provide advice. These resources are often underutilized by recent college grads who don’t go back to their college/alumni career center seeking assistance. They are ready to help you – even now that you graduated. Learn more about how to use your college career center in the job search. 4. Don’t overlook your online image: Applicants need to actively monitor and maintain their professional reputations online. Keep a clean online profile. Future employers are watching. 5. Initiate contact: Research companies you would like to work for and ask for an informational interview to learn more about the organization. “It also can help employers get to know you so you’re top of mind when that company has a vacant position,” says Driscoll. 6. Meet with a recruiter: Staffing executives can be your eyes and ears in the job market. Recruiters also provide useful feedback on your resume and interview skills, and help you locate full-time and temporary jobs. 7. Ask for references: Before your last day, ask your manager, and/or co-workers if they will be references. Professional references can sometimes hold more value than a supervisor from a work study program, or college professor (but those are both viable references if need be). 8. Update your cover letter and resume: Did you track your achievements and successes at the internship? Be sure to update this information on your resume and put it at the top of your resume, right under education. “Highlight any unique activities you partook in that may set you apart from the competition,” says Ganesan. Include project work and results, being a part of a team, technical/computer skills learned/used, and any other success story. 9. Apply for more than a handful of ideal jobs: Set target companies or jobs, but be flexible in your search. “Consider numerous possibilities, especially when you’re just starting off,” says Ganesan. 10. Use your social network: Use your social media network, as well as family and friends, to find a personal connection at particular companies. “That individual may be able to assist in securing an interview or simply provide advice and insight into the organization,” says Ganesan. Don’t view the completion of an internship without a job as the end. View it as a new start, and a new beginning to a job search that is now backed by real world internship experience – something every employer craves. For more tips on how to secure a job after your internship is completed, and other job search and career advice, visit our blog and connect with us on LinkedIn, Twitter, Facebook, and YouTube. When searching for employment, you will find that most employers will at some point ask you to provide a list of your references. This may seem like a simple request to fulfill, but in actuality, choosing references is something that should be done with care. So before you throw your own list out there to employers, let’s take a look at some ideas to keep in mind. Employers usually ask for references during the course of an application process for two reasons: 1) they want to verify previous employment, and 2) they want to know what they’re getting themselves into. Most likely, they have determined that you’re a great candidate based on your resume, cover letter and interview, but it always helps to have some additional sources step in to confirm your qualifications. So when should you disclose your references? This can vary depending on who you’re applying for. Some may request a list of references in the job posting while others may have you list three or four while filling out their application. A good rule of thumb, however, is to hold on to your list until you’re asked for it. Just be sure to choose wisely the references you disclose, because while some employers may simply want to verify your employment, others may go further to ask specifics about the type of employee you were. One of the most important ideas to remember when choosing your references is making sure they will say good things about you. If you’re not sure what they might say, then you can have a friend call on your behalf and get a reference, asking simple, professional questions just to gauge the responses he or she might give. Typically, the best people from which to request references include past or present supervisors, co-workers, professors, customers, vendors, and even coaches and friends. However, when the references are more of a personal nature and they were not specifically requested, you may want to list them after the most highly-regarded professional references. This is because, for the most part, the employee is more interested in your work ethic than your personal behaviors. And with additional resources available like social networking sites, many can do more “realistic” research without needing to gauge your characteristics from a personal friend. One of the biggest rules of thumb when selecting references is to make sure that you ask their permission before submitting their names to employers. Failing to complete this task can offer unfavorable results all the way around. Think about it, if you don’t tell your references you’ve offered their names, when the employer calls they may be thrown completely off-guard, having to come up with specific details on the spur of the moment. This could result in you not receiving the thorough recommendation you’d hoped for. So to ensure that it goes your way, make sure ask your references if you can use them in this way. Choosing the right references to offer to prospective employers can mean the difference in you being hired for a position. So choose carefully, making sure each reference is someone you have a good relationship with and who truly has your best interest at heart. Heather Eagar is a former professional resume writer and is passionate about providing working professionals with current, reliable and effective job search tools and information. 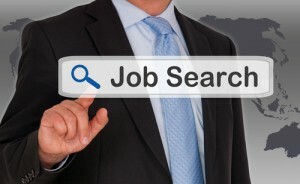 If you’re in need of a resume service, compare the top ones in the industry at http://www.resumelines.com.